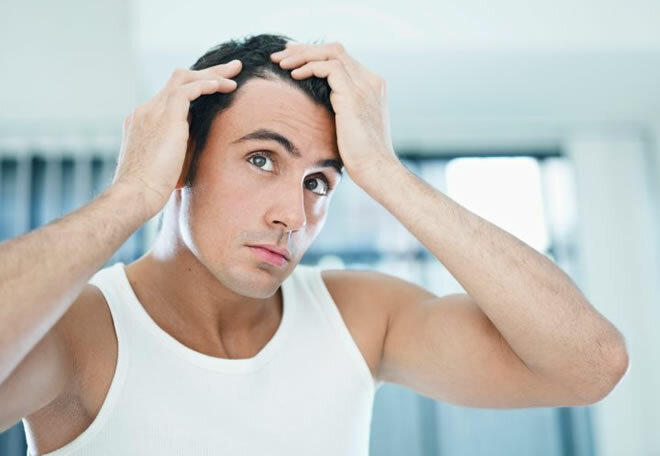 Many men have hair problems, including hair loss, and what we’ve been taught to do… is own it, be confident, and find a really good razor to remove all traces of damage. But what if your hair problems aren’t just mom’s, dad’s, or grandpa Joe’s fault. You may play a bigger role in this situation than you think. The body is a complex machine that requires regular maintenance to function at its peak, and the slightest alteration of nutrients and excess stress can cause all kinds of damage to the body, organs, skin and hair. 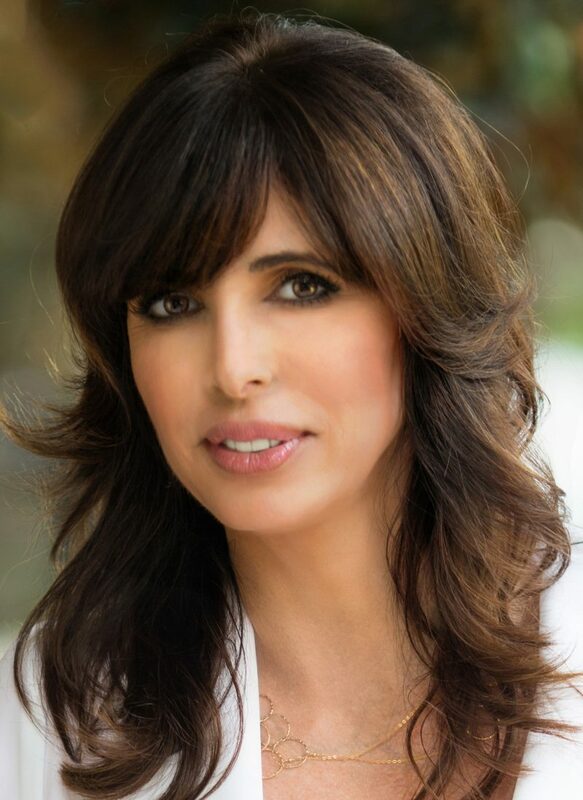 Dr. Glynis Ablon is an Associate Professor at UCLA, the Director of the Ablon Skin Institute and Research Center, and also a trusted expert of the Dove Men+Care product line. She says that your hair may have the ability to look a lot better than it does right now, and we’re not talking about with drugs, miracle cures, or candy corn wishes. She has a simple regimen that includes good shampoo and a healthy lifestyle, and it may be all you need to repair your hair back to its former glory. Urbasm: What is it about this time of year that wreaks so much havoc on a man’s hair? Dr. Glynis Ablon: It is important to understand that with cold weather, it actually affects the cuticle, which is along the hair shaft. It opens up the cuticle and leads to dry frizzy hair. So, the idea is that in cold weather, especially, you want to make sure that you have some kind of a sealant on that hair shaft so that it doesn’t get opened up and damaged. Dr. Ablon: Yeah, Dove Men+Care have a shampoo that has a conditioner, but the idea is that the conditioner contains polymers as well as silicone. It is these little silicone particles, that are almost like nano-particles; they coat the hair – not heavy – and protect it. It seals in the cuticle so that you don’t have the damage from cold weather. Urbasm: What about the dry heat from home furnaces? Dr. Ablon: The trauma we do with blow drying and hot tools damage the shaft of the hair. Once again, you need to create something you can protect the hair with, and using pomades and things like that will also create protection for the hair shaft. Urbasm: Wait. Styling products actually provide protection? Dr. Ablon: Yup, they do. But if you do too much, all you end up with is a lot of build up – and that is when you notice your hair seems greasy. The nice thing about the Dove Men+Care, is they actually have a gel and a pomade. The gel is nicer for oilier hair and the pomade is best for people with dry hair. Urbasm: Cool, we did not know that. What are the most common damaging things men do to their hair without even knowing it? Dr. Ablon: Dove did this great survey. They surveyed 200 US dermatologists’, and I was one of them. We all agreed – 90 percent of us – that environmental and physical stressors play a huge part in men losing hair. The idea is that you want to figure out how to treat these stressors – like what I just said, doing the aggressive tools with blow dryers, styling devices, and combing the hair very roughly. There is a thing called the water brush – wet brush – and it really does glide through the hair so that it doesn’t cause trauma to the hair, but when the hair is wet and you are running combs through it, it can traumatize the hair as well. Being aggressive with your towel drying can also damage the hair shaft. Being more gentle with that is a big part. Then there are the physical stressors, like life stressors – whether it is pollution, chlorine, or smoke, ultraviolet light – these all cause hair fall and shedding. Urbasm: But these aren’t permanent if a guy can minimize them, correct? Dr. Ablon: That is the point. The sooner you figure that out, the better off you are. The study that Dove did also showed that 75 percent of dermatologists agree that diet plays a big part in hair shed and hair fall. We live in a crazy world where everyone is running out and running in – and they want to grab fast food, and most of us know that eating right plays a big part in how your hair, skin, and nails look – and how you feel. Really try to deal with nutrition, make sure you have all the nutrients and supplements and vitamins that you need to create healthy hair and skin. Urbasm: What are the supplements that are particularly important for a man’s hair? Dr. Ablon: When it comes to hair I definitely love beans, which are really good with protein for hair growth. I love nuts, especially like the Brazil nuts, which are high in selenium. This helps again with hair growth. And then the Omega vitamins are important for hair, skin, and nails. Fish is a big one for the protein that you need for hair growth as well. Urbasm: What about hair dye? Is that bad for a man’s hair? Dr. Ablon: In this day and age the products are so much more advanced than they used to be, so it is not as damaging as it used to be. But of course, it will do some degree of damage, and that makes it even more important to use a moisturizing shampoo and conditioner. Urbasm: Do most shampoos have those silicone polymers you mentioned that protect the hair? Dr. Ablon: The silicone is specific to the thickening and resilient product from Dove Men+Care. But it is important that you do see a dermatologist, because depending on what is going on, you may need a different kind of shampoo. People that have flaky scalps may have a condition called dermatitis Seborrheic, which is also known as dandruff. Those patients may need some zinc in their shampoo, and the Dove Men+Care line does have one specifically for dandruff. There are other people with just a dry scalp and need the thickening and resilient one, which has the silicone and the polymers. Dove did a study where they found that people who use this shampoo had three-times less hair damage, shedding, and breakage when used, so it is pretty dramatic. Urbasm: Yeah, that is impressive. 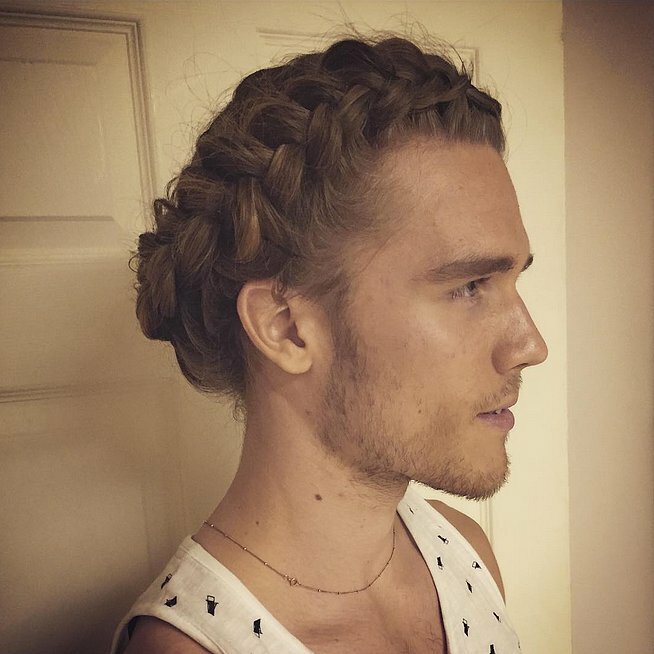 Are there certain hairstyles that are worse for men, like long hair or a buzz cut? Dr. Ablon: The biggest danger with men’s hair is pulling the hair tight. Those man buns. Urbasm: Oh yeah, we remember those. Dr. Ablon: That is something that can damage the hair, especially when people wear braids and things like that, which can lead to traction alopecia – and that hair loss can be permanent. Urbasm: That is not good. Dr. Ablon: No, and even the ponytails that they use can cause some damage as well. Urbasm: That was a big trend not long ago. Dr. Ablon: I am not sure why because it was not a good-looking trend on anyone. Dr. Ablon: I do not know why that became so popular. Urbasm: Neither do we. Are there any old-fashioned hair care tricks that are still viable today? Dr. Ablon: I think the bottom line is – there are people that love to do what we call ‘all-natural products’ in their hair. But what I usually say to people is: remember that mold is natural, and we are not going to put that on our hair. I don’t know that natural is really the answer. The one little wives’ tale that I do like is – I do like coconut oil. It is one of the products I use for a lot of my eczema patients. You can buy coconut oil in a big vat, and that is great for an itchy dry scalp. I’ll have patients use that on their scalp because it doesn’t make their hair greasy. Urbasm: What is the best hair care regimen that a man should follow every day? Dr. Ablon: Number one, wash your hair – it doesn’t have to be every day. It depends on the condition of the hair we are dealing with. Someone who has oily hair – an oily scalp – might want to wash and condition every day. Someone who has a drier scalp might find that every other day, or third day, works well for them. But I do think that definitely doing a shampoo and conditioner is important because that conditioner is what’s going to leave protection on that scalp and hair shaft itself. Did you know that 50 percent of men still use soap to wash their hair? Dr. Ablon: Soap is really going to dry out your skin. You shouldn’t even use soap on your face anymore. On the scalp, I really do like using shampoos with conditioners. I am all about ease, and I think what Dove Men+Care has come out with is something that is really easy to use. You’ve got a two in one – put it on – do it and you’re done. Urbasm: So, there is no advantage to using a separate conditioner? Dr. Ablon: That is right. The two-in-one works really well. Urbasm: What are the three most important things that every man should take away from this interview when it comes to the health of his hair? Dr. Ablon: Number one, you need to reduce your stress. That includes the physical stressors and that not only applies to your hair but your entire life. I wrote a book called, What’s Stressing Your Face, and it is all about skin care, skin reactions, and hair loss related to stress. I think that stress is something that we have control over, but we have to learn how to take control of it. Number two, find balance. Find a way where you can treat your body right, eat well, take the supplements you need, get your exercise, do meditation, and create a balanced lifestyle. Number three, love what you do. Really enjoy what you do in life – because life is short. Urbasm: We completely agree, Dr. Ablon. Thank you for speaking with us today.